Even if you think your family makes too much money to qualify for financial aid, you should still fill out the FAFSA. You need to complete the FAFSA to be eligible for certain loans that don’t rely on income such as the unsubsidized Direct Student Loan the PLUS loans for parents. The FAFSA is also required for many state-based college financial aid programs. 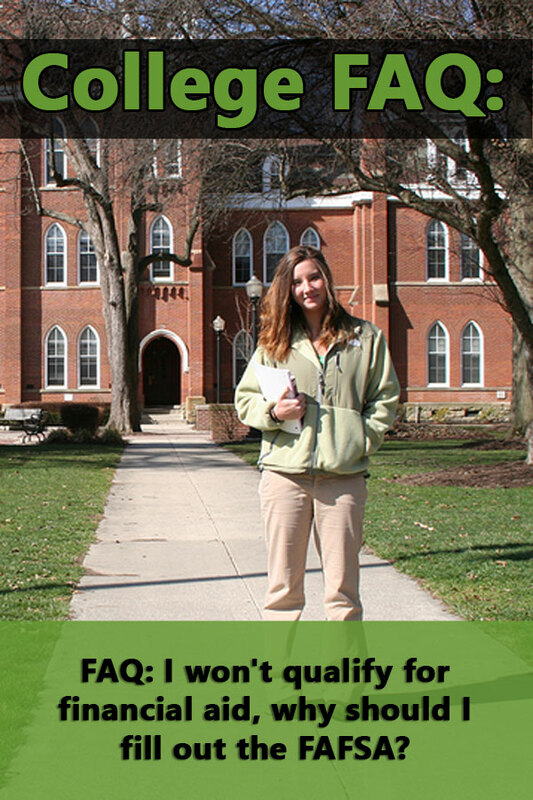 Furthermore, you may qualify for more financial aid than you think. Many families believe that their home equity is automatically considered in the financial aid process. 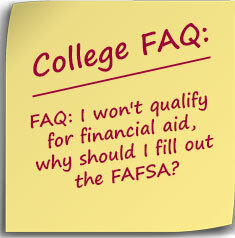 However, it’s not required information on the FAFSA nor does it ask about your retirement accounts. Only the CSS/PROFILE asks about your home equity and retirement savings. The FAFSA formula also protects a set amount of non-retirement money through the asset protection allowance. Depending on the oldest parent’s age, a certain amount of money is excluded from consideration on the FAFSA. This figure changes each year. The remaining parental assets are assessed at 5.64%. This is much lower than 20% rate used for child assets. Remember , FAFSA stands for FREE Application for Federal Student Aid which means you don’t have to pay to file it. Watch out for any scams offering to file your FAFSA for a fee. There are legitimate services that you can pay to complete the FAFSA the same way you can hire someone to complete your tax forms. However, they shouldn’t be promising you large amounts of financial aid.